Falls are the leading cause of fatalities in the construction industry. So, when it comes to working at heights, there must be certain safety regulations, protocols and training that are administered and followed in order to ensure the workplace environment is safe. Back in April 2015, Ontario’s provincial government introduced some stern regulations for employers to abide by. Here we look at the updated training requirements for construction projects that use certain methods of fall protection. The Occupational Health and Safety Awareness and Training Regulation (Ontario Regulation 297/13) under the Occupational Health and Safety Act (OHSA), was amended to include mandatory Working at Heights training requirements and standards. What are the training rules? If you have people working at heights and are performing work that is covered under the construction regulations, you need to ensure they finish the mandatory Working at Heights training before they begin work. Even if you outsource the work to a general contractor you will still need to ensure they are compliant. Employers must ensure that the training program and trainer is approved by the Chief Prevention Officer (CPO), who has the authority to establish standards for training programs required under the OHSA. It is also the responsibility of the employer for maintaining a detailed training record for each employee and ensuring that the record is available for Ministry of Labour inspectors upon request. For those already working in the industry and already has training that met Section 26.2 of the Construction Regulation (213/91), they will have until April 1, 2017 to complete an approved Working at Heights training program. Once completed the training is valid for three years. Training standards have proven to reduce injuries in the workplace. To provide the knowledge needed for workplace safety and to be prepared in advance of any incidents will help limit the amount of lost time from injuries caused by falls. In return, the company will save many costly deductions and of course, employees can benefit from a safer work environment. It is important to know and understand the requirements to safely work at heights. And it is not just the employer’s obligation for safety; it’s also important for the workers to know the new rules and regulations. As an employee, it is your personal responsibility to ensure that your employer is keeping up with workplace compliance and enforcing the new training requirements as well. At Roofmaster, we take safety seriously. That’s why our staff are continually up to date with organizations such as St. John’s Ambulance WHMIS and First Aid training in addition to manufacturers training seminars. 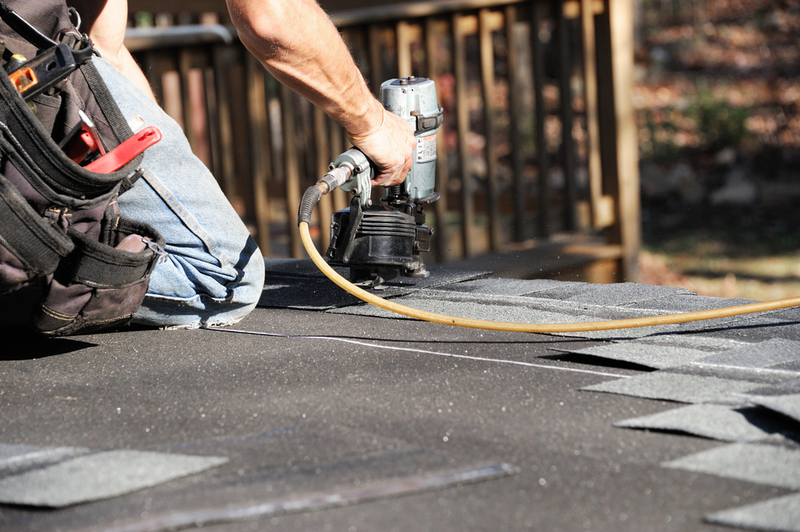 We are fully insured and bonded to ensure no liability to the homeowner in event of an accident.